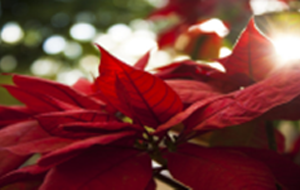 We are taking orders for Christmas poinsettias to dedicate in honor and/or in memory of loved ones, while lending beauty to our Sanctuary and holiday worship. Pick up a form at the office and fill it out or we will have the forms available at all three of the Sanctuary’s main floor entrances. Each plant will cost $10.00 (6 inch pots). They will be presented to the glory of God in our Sanctuary Sunday, December 17th. Please feel free to take your poinsettias home following our Worship Service on Christmas Eve, Sunday, December 24th. Completed order forms may be placed in the collection plates or dropped off at the church office. We must have all orders in by Monday, November 27th.